Dal is a basic dish which is loved by one and all.. There are so many variations one can try out with different lentils. 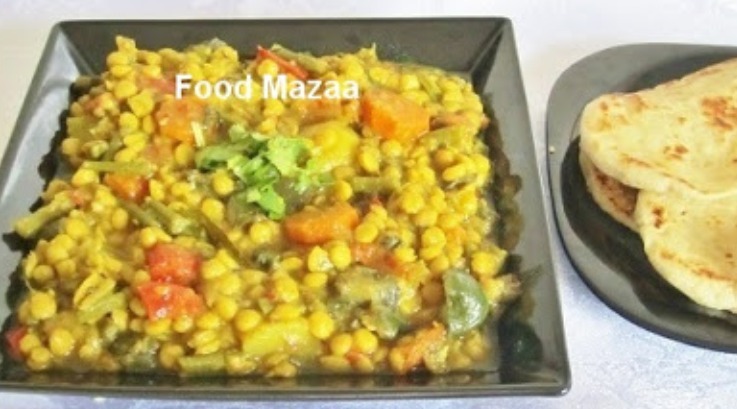 Today's recipe is a combination of chana dal and mixed vegetables, a wholesome & nutritious dish. Use any vegetables of your choice. 1. Wash and soak dal for few hours. 2. Cut the vegetables into cubes. 3. In a pressure cooker, heat oil and add the cumin seeds and asafoetida. When the seeds crackle add the curry leaves, garlic and ginger. Saute and tip in the vegetables, green chillies and tomato. 4. Add the salt and spice powders and saute. 6. Open the cooker after the steam is let out and carefully give a stir without mashing the vegetables. 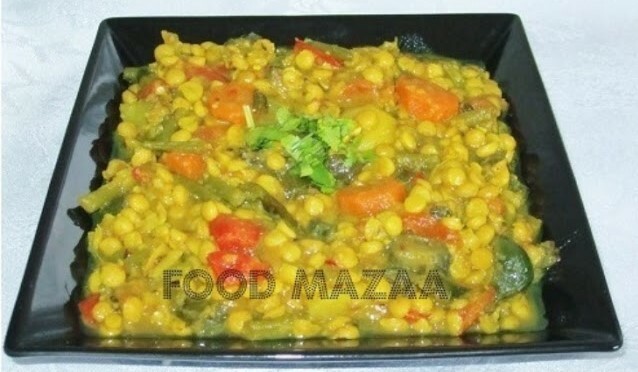 Very comforting and healthy chana dal with full of veggies. Excellent! very delicious curry.. perfect with rasam rice..
Makes me so hungry now. Delicious. Thanks for linking. Great combination.